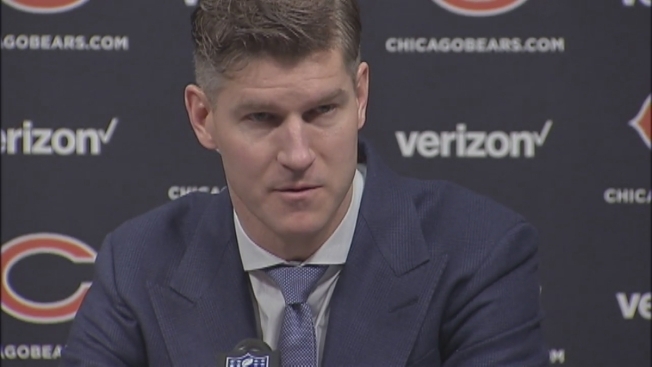 After a frustrating 3-13 season that saw the Chicago Bears finish with their worst record since the NFL expanded its schedule to 16 games, fans are angry with the direction of the team, and General Manager Ryan Pace had a simple message for those supporters Wednesday. That improvement is going to require using every resource at the team’s disposal, as they have the number three overall pick in the NFL Draft and will have more cap space than just about every team in the NFL during the offseason. Despite the struggles of the team, the coaching staff will remain largely intact, as head coach John Fox and coordinators Dowell Loggains and Vic Fangio will all be in Chicago next year. Even with their job status secure, Fox knows that the team needs help and vowed to be accountable for the poor season in 2016. One of the areas that the Bears will have to evaluate for next season is their quarterback position, as Jay Cutler is not guaranteed any more money on the massive contract extension that he inked back in 2013. With the freedom to choose whether or not to bring back the polarizing quarterback, Pace says that the team will continue discussing his status and will try to keep things as quiet as possible when it comes to media catching wind of the decision. Another player that will be the subject of intense offseason scrutiny is wide receiver Alshon Jeffery, who was once again limited by injuries and by a four-game drug suspension during the 2016 campaign. The Bears do have the option of using the franchise tag or signing him to a long-term deal, but Pace is leaving all options on the table. With decisions surrounding some of their biggest stars, the Bears have plenty to do in the offseason, but Pace made it clear where the team’s focus lies: on gutting through a tough stretch and making big strides forward for next season.